Apple Inc filed petitions challenging four Qualcomm Inc patents Thursday, dragging the US Patent and Trademark Office into a long-running licensing dispute that already spans the globe. The two are locked in a bitter fight over the amount of royalties Apple’s suppliers should pay to use Qualcomm’s technology on telecommunications. Billions of dollars are at stake. A hearing in one case is under way at the US International Trade Commission in Washington, and trials are scheduled for later this year in China and Germany. Apple wants the patent office to cancel four Qualcomm patents, saying they don’t cover new ideas. All are part of a patent-infringement lawsuit Qualcomm filed in 2017 against Apple in federal court in California. The patents being challenged involve ways to automatically focus a digital camera; a device that functions as both a phone and personal digital assistant; touch-sensitive displays; and circuit memory. Christie Thoene, a Qualcomm spokeswoman, said the company had no comment. 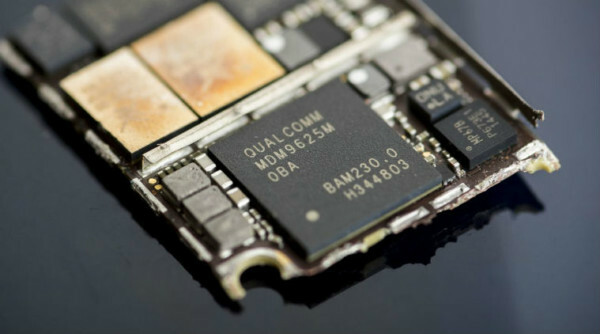 Three judges with the review board will consider the petitions and any response from Qualcomm, and will make a preliminary decision on whether Apple has a chance of winning its arguments. If so, it will institute a formal review and issue a final decision in a year.